Robert Shannon Fields. Man. Myth. Legend. Little Known Factoid: RF moonlighted as a soccer correspondent in the 70s. He hitch-hiked around Germany in the summer of 1974 covering the World Cup as a freelancer for the London Evening Standard. 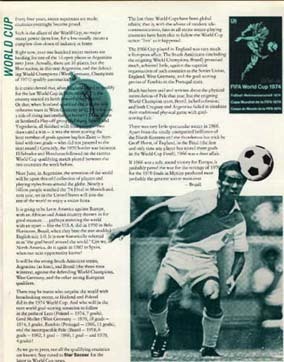 By late 1977, he was providing "color" commentary on weekly U.S. TV re-broadcasts of English soccer, working with Mario Machado for whom he wrote the illustrated guide to soccer.